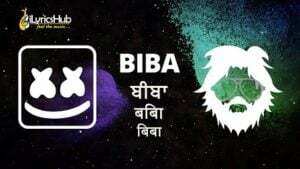 Biba Lyrics Sung by “Shirley Setia“, “Marshmello“, “Pritam“, Pardeep Singh Sran, Dev Negi. Brand New Song song 2019. Singers: Marshmello, Pritam, Shirley Setia, Pardeep Singh Sran, Dev Negi.